If you’re anything like me, then you often find yourself having 30 to even a hundred tabs opened in Chrome (there’s not enough RAM memory in the world to save me from this). But then I ran into this simple yet effective Chrome extension. This one little tool collapses all those tabs and saves it for later use – you can even bring them all back by a simple click of a button. My laptop would sometimes completely freeze, but now this one simple piece of software helps me be faster and more efficient. Well, guess what… There are plenty of simple extensions that can make your life easier! Next, I bring you the 10 extensions every marketer should have (for Chrome – we might cover other browsers later on). DISCLAIMER: It’s a personal list of favorites so don’t take it for granted. You may prefer some other extensions that do the same work. Oh, in case you’re still wondering about that tab management extension – it’s One Tab. Buffer is by far my favorite social media management/scheduling platform. It makes sharing or scheduling social media posts from any web page easy. Just click the Buffer icon, it automagically pulls the title from the article or any highlighted text into the post, shortens links and displays a small preview of the image. a preview of the image that will follow the post. You can post to selected channels immediately or add it to a queue. I tried Hootsuite too and found it great. However, it’s a bit monolithic and I prefer Buffer’s UI. Rebrandly is the fastest way to create branded links when sharing any URL. This helps make your links more memorable and pronounceable. For example, rather than using Google Doc’s ridiculously long links in my emails or social media posts to promote my content, I can rebrand it as “future.marketing/secret-folder”. With a click, Wappalyzer allows you to see what software a company uses on their websites. It detects everything from content management systems to analytics tools and widgets. How’s that for competitor intelligence? Dux-Soup provides LinkedIn lead generation automation. It tracks every single profile you visit. You can export data from these profiles including the timestamp of the visit, name of the person whose profile you visited, job title, company name, location, email, and notes. The best part? Dux-Soup enables you to auto-visit profiles of LinkedIn users based on Google or LinkedIn searches. As a result, many of the people who you visit will check out your profile out of curiosity. When trying to do some SEO you might want to check how your competitors stack up. Information about their website engagement, keywords, traffic sources and overall site ranking information can make a world of difference when you’re trying to rank your site. 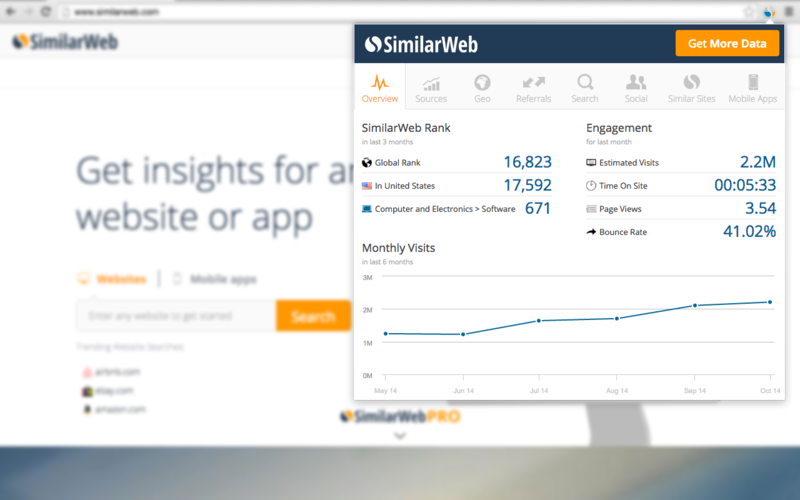 Luckily SimilarWeb helps you gather all that data in a simple and digestible manner directly in your browser, as you search. Cyber security is easily the most neglected aspect by marketers. Luckily, LastPass makes it easy to keep track of all your passwords in a single, extremely safe location. It saves your passwords and gives you secure access from every computer and mobile device. It’s security combined with ease-of-use – LastPass enables you to auto-login to your sites and sync your passwords everywhere you need them. The tool even allows you to check out faster by auto-filling credit card and shopping profile information. Once you login to LastPass, it will enable all your other logins, so you never have to think about searching for your dedicated password doc again. How many times did you need a quick snapshot but then it took about 5 minutes to get the whole thing done? With Nimbus Screenshot you can capture an entire web page or just a specific part. Also, it allows you to draw arrows with explanation boxes, and record screencasts. It’s an all-in-one screen capture machine. You won’t need any other after you try this one. With Grammarly, it won’t happen ever again. 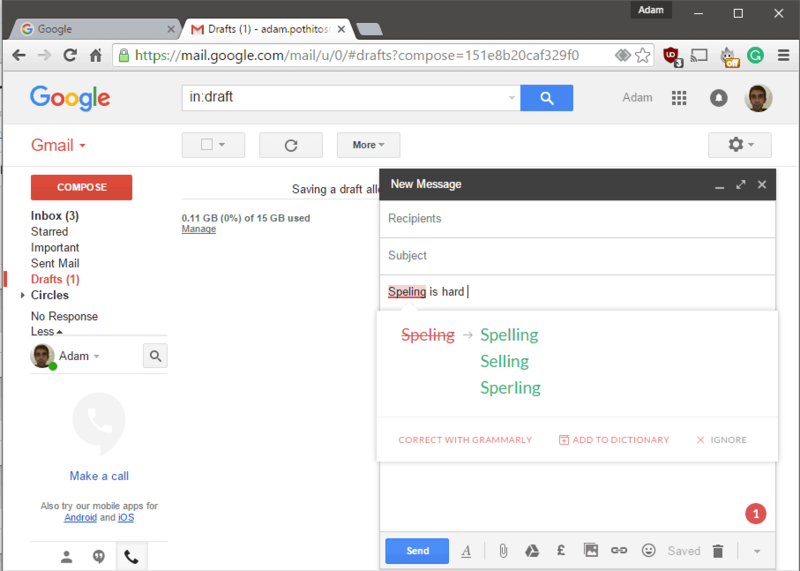 It checks your spelling and grammar as you type from email to Facebook statuses. It also syncs with LinkedIn, Twitter, and almost everywhere else you write on the internet. Track everything so you can measure it and make informed decisions. If you’re a marketer that needs to add tracking parameters to your links, then you’ll save a ton of time using the Effin Amazing UTM Builder. Whatever page you need to create a UTM for, simply click the Effin Amazing UTM Builder icon, fill in your source, medium, campaign, click copy and you’re ready to go! Plus, it syncs with Google Sheets. Every link you create will get automatically inserted into a specified sheet, so you never lose it. For a long time, Hunter.io was the tool of choice for scraping email contacts, especially from LinkedIn. Combined with LinkedIn Sales Navigator it was a powerful tool for generating highly targeted leads. Unfortunately, Hunter.io no longer scrapes LinkedIn profiles. For that matter, FindThatLead is the next tool to look at. FindThatLead is considered by some a better product, not just a substitute. Within the prospect feature, it allows you to choose the attributes you want to scrape for. And it pulls all the data instead of going page by page within LinkedIn like Hunter.io did. If you want more marketing nuggets, we post daily in our FB Group. Also, if you own a tool you think could fit this list, you can suggest it here.